You can take advantage of on-sale cars that still give you the quality, performance and coordinated parts while providing the same euphoric driving experience. If you live in the Milton area we encourage you to come into Budds’ BMW Oakville and take a look at our considerable inventory of on-sale cars, used cars, and new cars. Our mission is to be an integral part of your driving experience in a BMW vehicle, and we will prioritize your satisfaction accordingly. The BMW Assist Safety Plan is also provided along with the services mentioned above. This service will provide you with solid and reliable protection for you and your BMW investment. 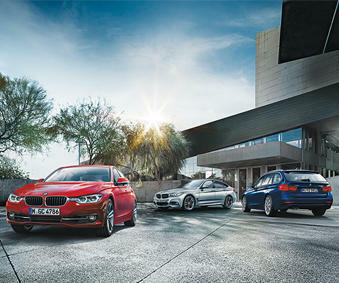 BMW Assist Safety Plan includes emergency request, roadside assistance, stolen vehicle recovery and remote door unlock. It will also provide you with updated and reliable directions, weather, traffic updates and concierge service. After your initial payment, your BMW Assist Safety Plan can be renewed for $199 yearly. You can visit this page for more information about perks to your ownership advantage. If you are interested in these spa packages for your BMW and you live in the Milton area, please stop by Budds’ BMW Oakville for more information, or refer to this page.